Home Blog How are You Faring in the Battle Royale for Customer Loyalty? How are You Faring in the Battle Royale for Customer Loyalty? It’s an acknowledged truth that a customer loyalty program is one of the best and most profitable methods of measuring and improving customer engagement. Brands as diverse as banks, convenience stores, restaurants, and hotels all now have some form of loyalty program to reward repeat customers based on either transactional activity (credit cards that offer cash back) or some other form of engagement. And customers enjoy these programs too, with enrollment growing by 31 percent over the last four years. Bond Brand Loyalty, in collaboration with Visa, released its 2017 report on customer loyalty this week – “The Battle for Love & Loyalty” – capturing the input of more than 28,000 consumers in the U.S. and Canada on more than 50 loyalty program attributes across over a dozen industry sectors. Bond’s research showed that program enrollment has increased, with the average number of programs a consumer belongs to increasing to 14 from 10.9 just three years ago. Brands have increased their investment in loyalty programs, but Bond found that program satisfaction has held steady at 46 percent. Program satisfaction is highest in payment cards and retail such as gas/convenience stores, grocery, and warehouse but is lowest in telecom services, apparel, and consumer packaged goods. Experience-based factors accounted for 64 percent of consumer satisfaction with their loyalty programs, with program experience ranked the highest at 23 percent. Transactional rewards, what Bond Brand Loyalty categorizes as “Earn & Burn,” only accounted for a total of 36 percent of plan satisfaction. All of this boils down to a simple truth: the customer experience matters. Improving the experience of plan members should be a primary goal within your organization, and that includes elevating how invested your customers are in the program. 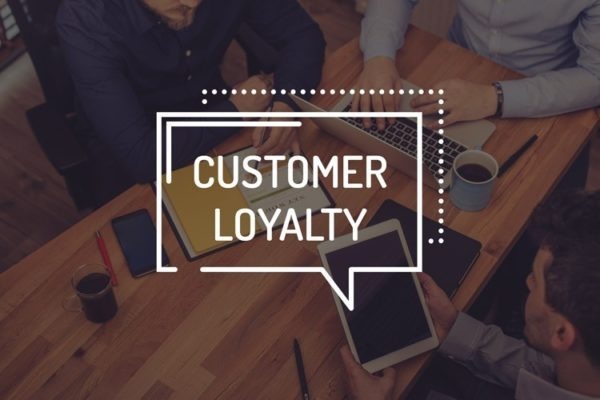 Bond’s research found that only 47 percent of plan members are active in the programs in which they’re enrolled, as well as finding that consumers only have the appetite and capacity to handle about seven loyalty programs. The trick is using the loyalty program to enhance the brand experience, which currently only 29 percent of members say is true. A key component of improving the customer experience involves integrating digital and physical touchpoints. Bond found that 57 percent of members want to interact with loyalty programs via mobile device, but 52 percent of members didn’t know if an app even existed for their program. Recent CMO Council research bears this out, with only seven percent of brands able to deliver real-time data-driven engagements across online and offline touchpoints. This shouldn’t be a surprise, because 63 percent of brands the CMO Council surveyed have their data siloed across the organization and require requests of specialized teams to access and extract. This data fragmentation has a negative impact on the customer experience, resulting in brands lacking the ability to identify customers across channels or engage with them in the moment of need. If a brand is unable to respond at the speed of the customer, because of fragmented data or other technical barrier, then their ability to enhance the satisfaction of their loyalty plan members is severely constrained. Given that Bond found 57 percent of members don’t know their points balance and 38 percent are unaware of their points value, the opportunity is ripe for a brand with connected data and integrated technology to dramatically enhance the customer experience and reap the benefits. Bond also found that plan members who redeem points are twice as satisfied as people who didn’t redeem their points, and fully one-fifth of plan members have never made a redemption. In the battle royale for customer loyalty, the victors will be those with the ability to provide contextually relevant interactions, in the moment of need, and deliver engaging customer experiences. Bond Brand Loyalty’s 2017 Loyalty Report proves this out with its revelation that quality of customer experience – not transactional rewards – are the primary motivator of plan member satisfaction. When customers have a good experience with your brand, everyone wins. Andrew Dorn is a director of marketing channels for RedPoint Global.